Kazakhstan is one of the states that formed after the breakup of the Soviet Union in 1991; it borders Russia, China, Kyrgyzstan and Uzbekistan, and has a long coastline on the Caspian Sea. With a territory the size of Western Europe, Kazakhstan is the world's largest landlocked country, and benefits from an abundance of natural resources that have helped it to develop the most thriving economy in Central Asia and some of the best infrastructure. Traders passed through on the old Silk Road that connected East Asia with Europe, and the Mongols ruled here before the rise of Russia, so Kazakhstan possess a rich culture, though much of the country remains wild and untouched. 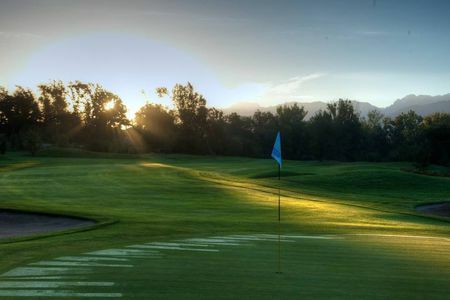 Golf only got started in Kazakhstan after independence, when President Nursultan Nazarbayev developed an interest in the game during a trip to the US and saw to the construction of a 9-hole course outside Almaty, the largest city. 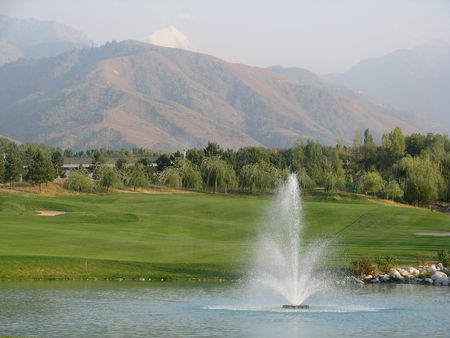 That was in 1996; the course was later extended to a full 18 holes and became the centerpiece of Nurtau Golf Club. Eight more courses have been built since, including Arnold Palmer's design for Zhailjau Golf Resort, which shares with Nurtau hosting privileges for the yearly Kazakhstan Open, an event on the European Challenge Tour. The Open has been an important stop on the Tour since 2005, with winners including Ryder Cup team member Edoardo Molinari and Englishman Tommy Fleetwood.